From the City of Lights to the River Dordogne, travelers will be enlightened by France’s religious venues, bringing them closer to faith and to each other. Visitors who embark on quests of faith or recreation will find that France’s numerous religious sites reflect its eclectic mix of the religions themselves. You’ll immerse yourself in painstakingly created stained glass windows, marble floors and limestone exteriors, as the country is best known for preserving some of the most beautiful churches in the world. You can also find faith outdoors. Surrounded by France’s bustling cities, green jardins and azure rivers are scenic natural sights. People venture to these places day and night to worship peacefully and to revel in the country’s historic wonders. These sights in particular are sure to pique your interests as you spend time in prayer services and fellowships. 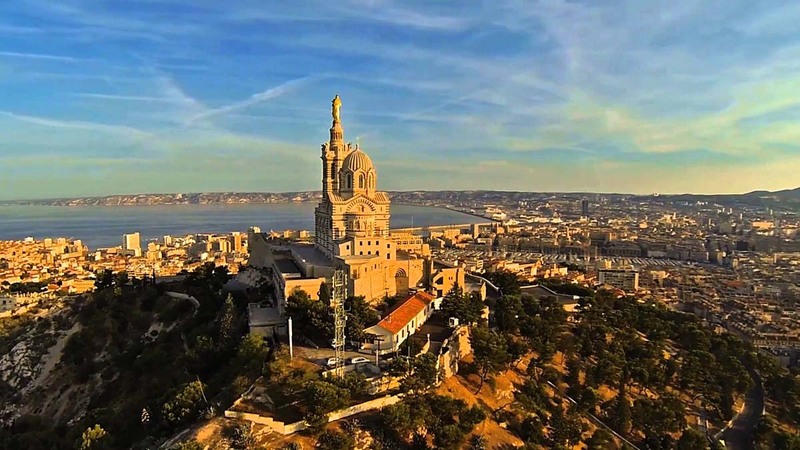 Notre-Dame de la Garde reaches its peak visitor rate every year on August 15, when travelers and locals participate in a pilgrimage to the church on Assumption Day. On any other day, it remains Marseille’s most recognized symbol, translating from French to “Our Lady of the Guard,” and aptly so; it stands proudly protecting the city at 489 feet. This basilica replaces a church first constructed in 1214 and restored in the 15th century under the same name. Most visitors will find that the religious center’s beauty lies in its physical details and in its cherished history. Outside of its limestone façade, Notre-Dame’s lower church boasts a rock-carved, Romanesque-style crypt, while the upper church embodies a Neo-Byzantine style with elaborate mosaics, many of which were restored after being hit by bullets in World War II. Visitors can pray in either of the two places, or take a tour up the 135-foot bell tower. It’s equipped with a belfry to support Madonna and Child – both of whom are adorned in copper gilded with gold leaf. The Panthéon, though Greek for “every god,” was originally dedicated to St. Genevieve in the 1700s. This intent soon changed with the turmoil brought about by the French Revolution; the government instead transformed the Parisian church into a mausoleum to honor fallen soldiers. Now, the first neoclassical monument serves as a final resting place for anyone just as monumental in France’s history, such as Jean Jacque Rousseau, Marie Curie, Victor Hugo, Voltaire, Emile Zola, Louis Braille and many more. During World War I, about 100,000 of France’s Muslim soldiers died while fighting against Germany. This mosque was built by Northern Africans in 1922 and dedicated to Muslims in 1926 as an appreciation of their military service. In World War II, the mosque offered fake Muslim birth certificates to Algerian and European Jews to ensure protection from German persecution. Now, this 108-foot tall, Moorish-style mosque is home to millions of Muslims. They gather at various times of the day and night for prayer services within the mosque’s white walls, mosaics and decorated archways. 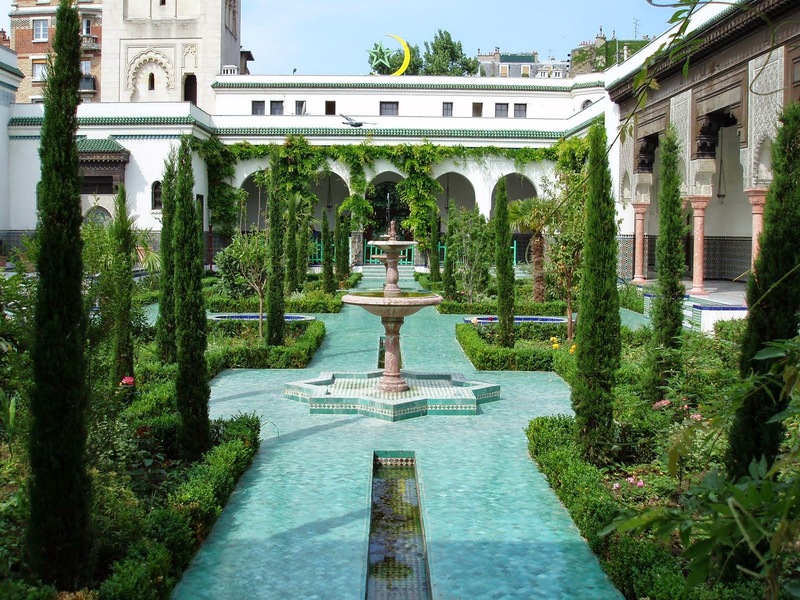 The serene spot also features a minaret on its left, water gardens and stone-paved courtyards. The venue is not open to visitors on Fridays, as those are holy days for practicing Muslims. Increasing numbers of Jews in France during the early 19th century inspired the Grand Synagogue de Lyon’s conception. After several attempted construction projects on different plots of land, the synagogue opened in 1870. The synagogue played a major role in hosting Jewish refugees during World War I but was unable to do the same in World War II, as French soldiers arrested its inhabitants and sent them to concentration camps. The holy sanctuary then entered a period of deterioration and neglect after being closed for two months. Today, the Jewish sight is far from being a land of the lost and drinking hall for the militia. The venue includes two pristine brick buildings totaling over 700 square-feet that are accompanied by a small vestibule, three arches and 12 columns symbolizing the 12 tribes of Israel. The bold efface hosts hundreds of Jewish visitors every year in holidays such as Rosh Hashanah and Yom Kippur. 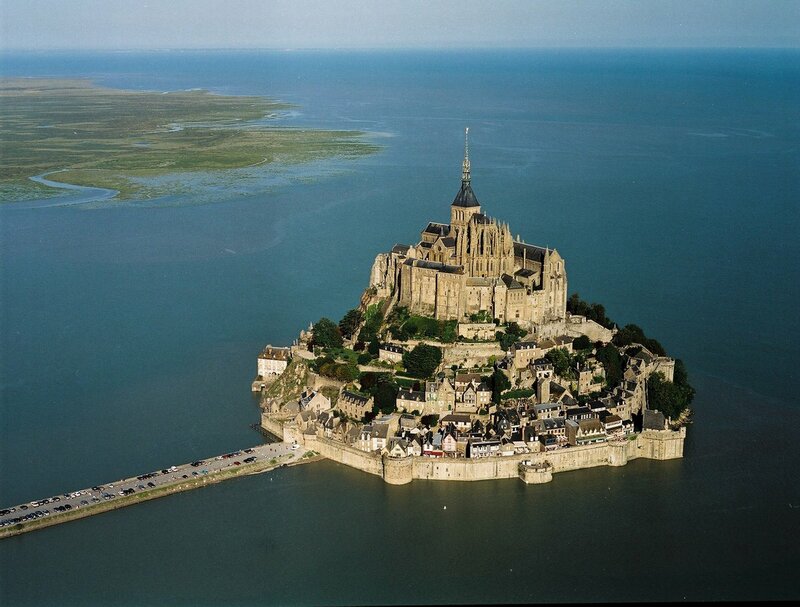 Located in Normandy, this 247-acre island worship venue lies at the mouth of the Couneson River. Mont Saint-Michel, or “Saint Michael’s Mount,” offers visitors the chance to interact with an alternate world created in the 17th century. The abbey embraced Romanesque styles of the time, finished off with a precariously positioned crossing supported by underground crypts and chapels. Other parts of the church consist of lava remnants from the Cambrian period and have been impacted by coastal tides and erosion. Before Louis XI turned the abbey into a prison in the Ancien Régime, it was constructed to represent the feudal system of people who inhabited it. At the top are God, the abbey and the monastery, all of which overlook the great halls, stores and housing. Most visitors who adventure to this quaint village in southwestern France are immediately drawn to the sanctuary of the Blessed Mary and the natural wonders surrounding her, including a gorge above a tributary of the River Dordogne. Aside from earthly historical monuments and statues, churches in this town abound with complexes of monastic buildings and pilgrimage churches. The reigning church is the pilgrimage of Notre Dame, which was constructed in 1479 and reconstructed since to uphold a wooden Black Madonna. The statute is speculated to be designed by St. Amator, the town’s founding father, who arrived in France after being persecuted in Palestine. The pilgrimage church opens at the bottom into a courtyard – the Plateau of Saint Michel. St. Sauveur radiates its aesthetic from the inside out. This church’s interior walls are filled with ornate paintings and inscriptions commemorating pilgrims. Located in the hilly northwest region of Montpellier, Lerab Ling pays homage to the art and architecture of ancient Tibetan Buddhist monasteries in the Himalayas. 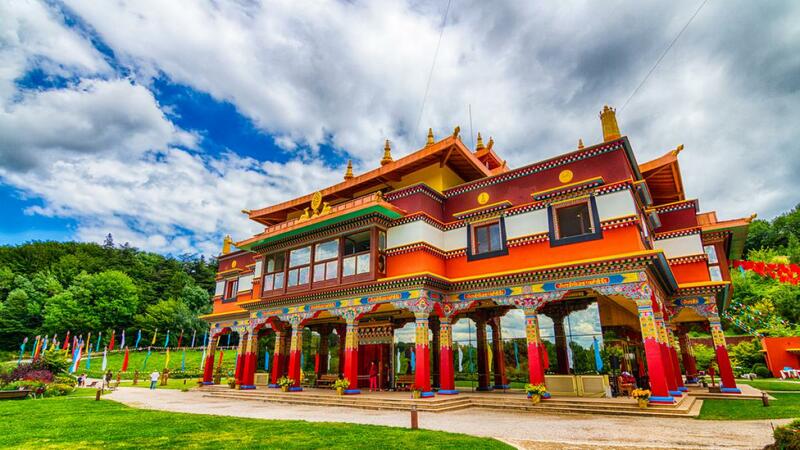 The temple was founded in 1992 and most notably hosted the Dalai Lama in 2000 and 2008, establishing it as a leading religious site in Tibetan Buddhist culture. Inside the temple, visitors will find a 33-foot-tall statue of the Buddha surrounded by gold furnishings, colorful paintings and 1,000 bronze Buddhas. Visitors trek to this peaceful oasis for afternoons of meditation and prayerful service. The Buddhist master, Padmasambhava, is stationed on a lake to the northeast side of the temple. Though closed to the general public most days, travelers are allowed enrich their learning in the faith on Sundays. An Armenian newspaper in Constantinople first called for the formation of an Armenian Church in France in 1902 to serve its growing community. Armenian businessman Alexander Mantachiants took on the feat with 1.540 million francs and completed the project in 1904. France now has one of the largest Armenian populations in the world, many of whom attend prayer services in this church built in their honor. Located near the Champs Elysees, the Christian church is named after St. John the Baptist. The venue is engraved with the holy seventh letter of the Armenian alphabet, which means “to be” and serves as a reference to God. Its façade is filled with ornate carvings of biblical symbols, strong columns, while the inside features historic scenes of God’s life and walls of windows for natural lighting to shine on the church’s believers.